Today's U.S. ski team is a powerhouse, but few Americans seem to realize it. Equally little-known is how the U.S. team went from being an underdog on the alpine circuit to boasting some of the most-decorated names—in particular, Lindsey Vonn and Bode Miller—in the sport. Nathaniel Vinton, New York Daily News sports journalist, former ski coach, and "lifelong student of ski racing," aims to fix that. 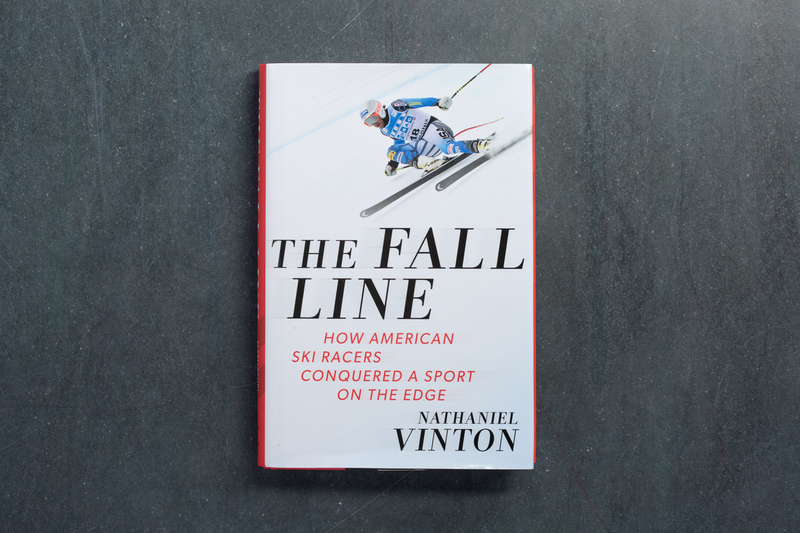 In his book “The Fall Line,” he examines what he argues is one of the most pivotal moments in the history of the U.S. team, if not ski racing itself: the year before Vancouver's 2010 Winter Olympic Games. That was when some of the sport's main "existential challenges," from climate change to the bone-crunching potential of increasingly boomerang-speedy skis, came into focus. It was also when the U.S. ski team found unprecedented Olympic success, gathering a haul of eight medals. Vinton's book includes anecdotes of domestic dramas, sponsorships skewered and, of course, spills gone gruesome (on T.J. Lanning's fall at Beaver Creek: "He turned to look up the hill for help, and when he did his head felt oddly balanced on his body, like he was a bobblehead doll. Panic set in, and Lanning started to scream.") But like a skier so joyful to be on the mountain that they veer off in search of fresh tracks, Vinton sometimes ranges wide, telling the stories not only of the athletes most crucial to his plot but of relative bit players, a tendency that can throw the narrative off-line. Other topics that the book promises, on the other hand, seem to get squeezed—the promised treatment of the effect of climate change on ski racing, for example, gets only a few sobering paragraphs. Vinton is at his best when drawing on his years of experience to contextualize the athletes' personalities, foibles and downhill runs. Even Miller's famous performance at the 2006 Olympics, both on and off the slopes, is recovered from savage sound bites. Miller had said repeatedly that he found the focus on medals unhealthy, Vinton writes, and "now, that longstanding attitude was being interpreted as a deficiency." Similarly, Vinton shines at making the sport's finer points accessible, patiently explaining everything from shinbang to angulation, while driving home just how crucial, and potentially career- or life-saving, each element of the sport is. Just as the hundreds of hours a racer spends training and traveling all come down to the single minute of a race, all of that analysis lays down a solid framework for the climax: the 2010 Games. And, by the time Vinton freeze-frames the most crucial moments of each 70 mph run without losing any of their momentum, you've forgotten that the book's focus is the U.S. team. Because now, you're rooting for each skier that comes out of the starting gate, hoping they survive their "solitary crossing of the wilderness with tests of courage along the way"—the quest that gives ski racing its primordial, even universal, appeal.